We’ve been talking about extending the Residential Energy Tax Credit (RETC) and the property tax exemption for a long time. But yesterday (Wednesday, March 29) we had the first hearing to start the process. For an hour and a half, solar installers, energy efficiency advocates, labor representatives and economic development workers told the members of the Oregon House Energy and Environment Committee about the benefits of the RETC and the property tax exemption (but mostly RETC) – for consumers, for businesses and for Oregon. The solar industry was well-represented by Shannon Souza of Sol-Coast (Coos Bay) and Shaun Franks of True South Solar (Ashland). Both spoke eloquently talking about RETC’s impact on their customers, jobs at their businesses and the need to keep the solar industry growing. Shannon and Shaun were followed by great testimony demonstrating RETC’s popularity. The committee definitely got the message that supporters were urging them to find the RETC is good policy and move it on to the revenue discussion to figure out how to fit a RETC extension into the state budget. OSEIA executive director Jeff Bissonnette described an amendment that is being developed by a broad range of RETC stakeholders to define the purposes of the RETC and provide the means to evaluate the program on an ongoing basis. This amendment is in response to concerns from even supportive legislators. We are working to ensure that the RETC is protected over the long term. We are using HB 2681 as the bill for the RETC extension. The bill for the property tax exemption is HB 2760. You can track the bills here. Thanks to Shannon and Shaun for reppin’ the industry so well! We had a great first hearing! HB 3050 is another bill that has caught the eye of several solar industry players. It would add additional analysis before siting solar projects on high-value farmland. While we understand that some in the Willamette Valley have concerns about prospective solar development. But we do not believe that additional restrictions are the answer. We are hoping to have an opportunity to discuss how to align Oregon’s land use system with the state’s commitment to solar industry. A hearing on the bill is scheduled next week and we’ll provide a report afterward. 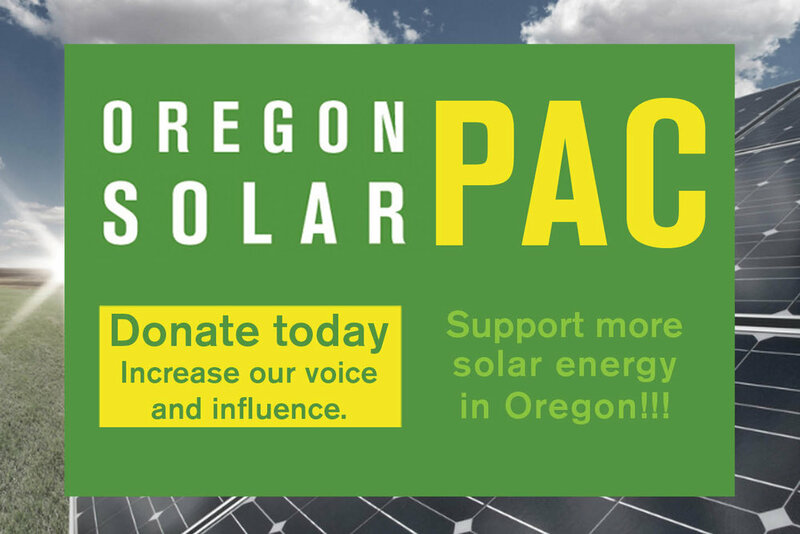 Sign up to be part of OSEIA’s Solar Army or to attend Solar Lobby Day on April 17in Salem. There’s nothing like talking to legislators face-to-face.